Baccarat King Natural presents sweet, creamy, and woody flavor and a smooth, mellow body in a 8 1/2 x 52 Churchill Extra vitola. LOVE These. Anything Baccarat is a must have. I enjoy these cigars. I smoke them daily! I enjoy these cigars as evidenced by how often I purchase them. 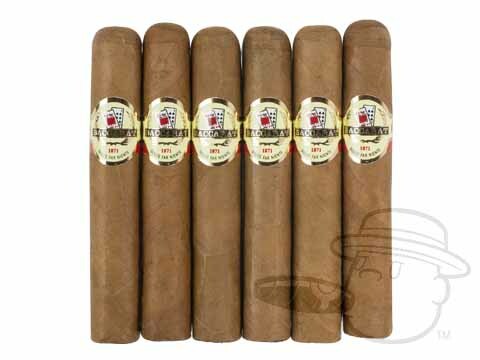 Only cigars I smoke. Mild, enjoyable. Love these cigars...as stated in the past...smoke at least one every day! These continue to be well constructed, smooth tasting cigars. Have ordered this before. The finest I have ever had. Superb burn, fragrance and wonderful taste. A long enjoyable dream come true. excellent cigar for the price. mild, smooth & even burning. Have not had a bad baccarat. 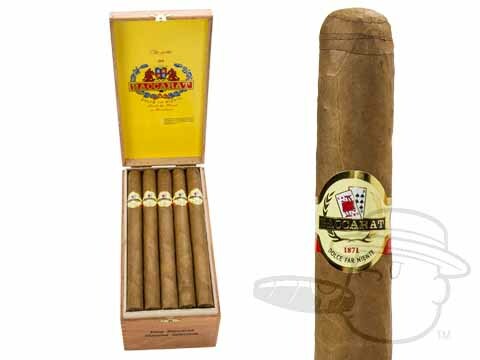 Baccarat King Natural is rated 4.5 out of 5 based on 12 customer ratings.